Michael Wynalda was born in Wyoming, Michigan on April 1, 1992. He swam for Grandville High School. There, he captured three state titles as a senior in the 100 and 200 yard freestyle and on Grandville’s 400 yard freestyle relay. His time of 1:36.67 in the 200 free broke the Division I record in the state of Michigan. Wynalda was also on Grandville’s runner-up 200 yard freestyle relay as his team finished 4th at the state meet. In addition to his 200 free state record time, he boasted a 44.62 100 free going into college. Wynalda also left high school with long course times of 51.75 and 1:54.88 in the 100 and 200 meter freestyles. 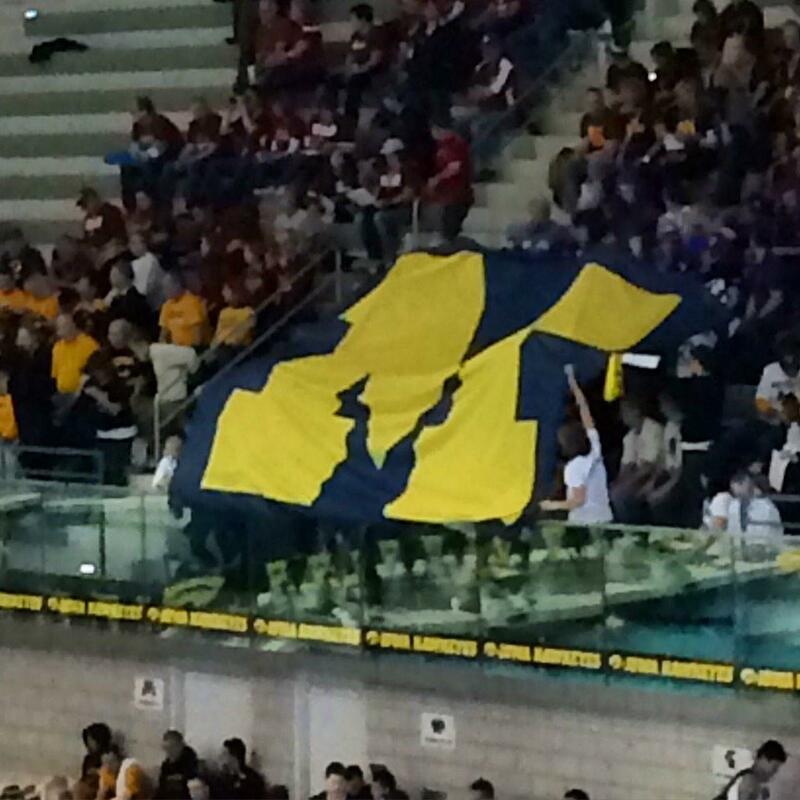 Wynalda committed to swim for the University of Michigan Wolverines. As a freshman, he wasn’t quite able to touch his state title times from high school, rounding out the year with season bests of 44.79 and 1:37.87 in the 100 and 200 freestyle. These times were swam at the 2011 Michigan Open, as Wynalda was unable to earn a spot on Michigan’s championship team. He did however lead off the Wolverines’ 800 yard freestyle relay in 1:38.25 at the 2010 Short Course Nationals, which turned out to be his first NCAA consideration time. His sophomore year, Wynalda broke through and became Michigan’s top 200 freestyler. 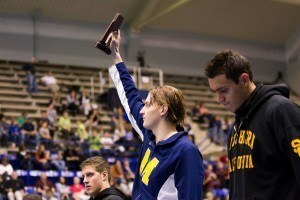 He earned himself the 200 free title at the 2012 Big Ten Championships with a new best time by over two seconds (1:34.10). Note that he was 1:34.08 in prelims. He was also a member of the victorious 800 free relay, claiming the 12th straight title in that relay for the Maize and Blue. Wynalda earned new bests in the sprint freestyles as well, placing 23rd in the 100 free (44.55) and 41st in the 50 free (20.58). His impressive swims at these championships earned him honors on the All-Big Ten First Team. Wynalda continued to shine as a junior. Although touched out for the 2013 Big Ten title in the 200 free by teammate Anders Nielsen, he lowered his best time to 1:33.61 (1:33.61 in finals). He also added the 500 yard freestyle to his agenda, placing 4th with a time of 4:16.83, and swam a 44.06 in the 100 free for 15th place. 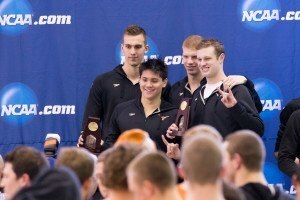 He was a member on the 800 free relay, which defended its title from the year prior. Wynalda added some major points in the 200 free at the 2013 NCAA Championships with his 5th place finish and new best time of 1:33.38. 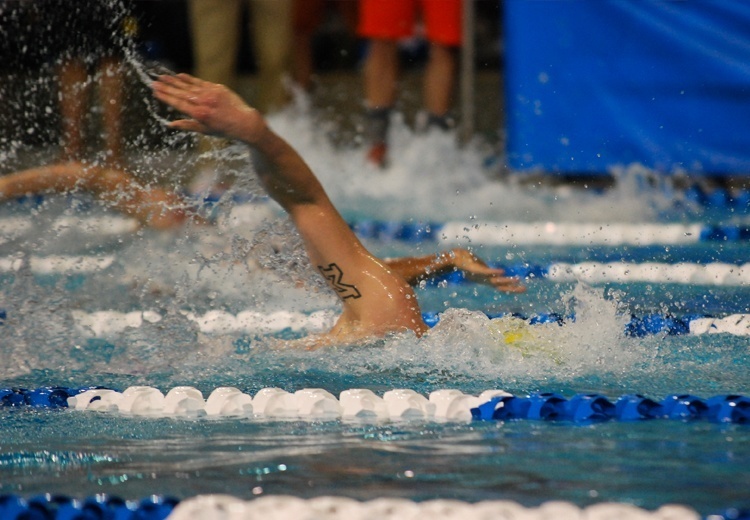 He also finished 23rd in the 500 (4:18.83) and 41st in the 100 free (44.13). 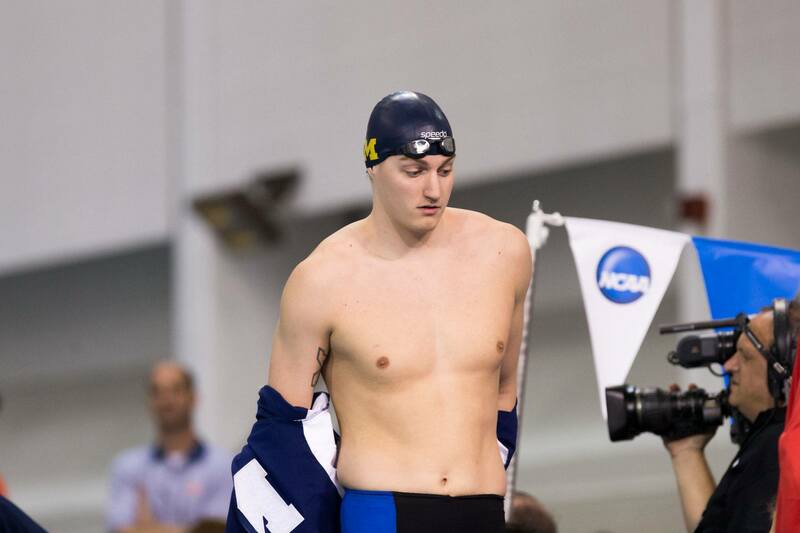 His 200 free individually as well as on Michigan’s 2nd place 800 free relay at the 2013 NCAA Champs earned him All-American honors. Wynalda’s senior season saw continued success in the mid-distance freestyle events. At the 2014 Big Ten Championships, he took back his 200 free title from 2012, swimming a monster 1:32.52. He added new bests in the 100 and 500 free at Big Tens, placing second in the 500 (4:13.91) and fifth in the 100 (43.14), and contributed to Wolverine 400 and 800 free relays that won conference titles. Wynalda was perhaps the split heard ’round the world after his 2nd leg split of 1:30.60, which vaulted Michigan to new NCAA and US Open records (6:09.85). At NCAAs in his senior season, Wynalda contributed considerably to Michigan’s 4th place team finish. Individually, he finished 13th in the 500 free (4:16.40) and third in the 200 free (1:32.58) just off of his bests in each. It turns out that splitting under 1:31 on the 800 free relay is pretty difficult to replicate, as Wynalda was only 1:33.22 on Michigan’s 4th place relay. His split of 42.72 as the 2nd leg of the 400 relay was the fastest Wolverine split; that relay would finish 13th overall. 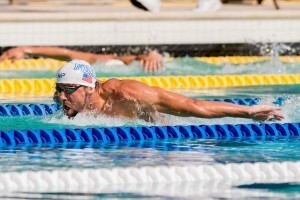 Wynalda competed in the 100 and 200 meter freestyle at the 2011 US National Championships, where he lowered both of his best times in these events to 51.36 and 1:51.32, both Olympic Trials qualifying cuts. After achieving this cuts in 2011, he returned to the national stage at the 2012 Trials. 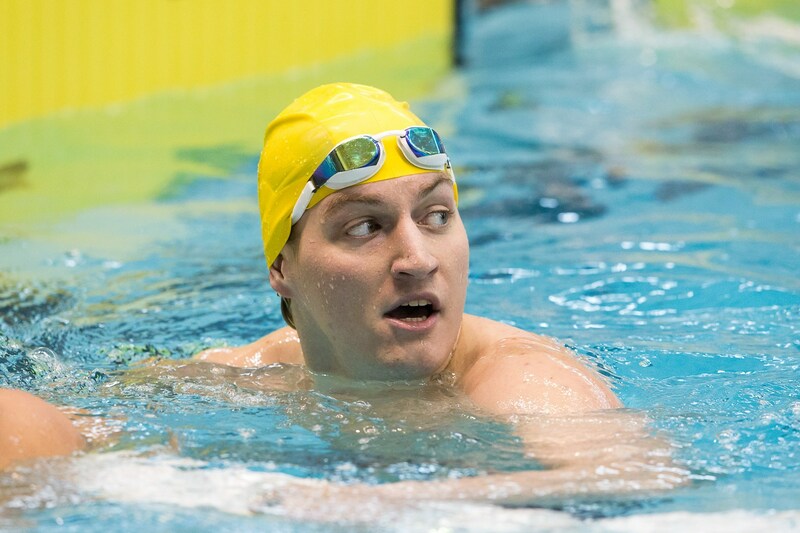 He improved upon his 100 to post a 50.88, and reinstated himself as a top 200 freestyler with his huge drop in the 200 (down to 1:48.38) to place 10th in semifinals and just miss finals. A couple months later, Wynalda competed at the 2012 US Open. He again lowered his 100 to a 50.29 to finish 6th overall. He also placed 2nd to Michael Klueh in the 200 but did not beat his impressive Trials swim. 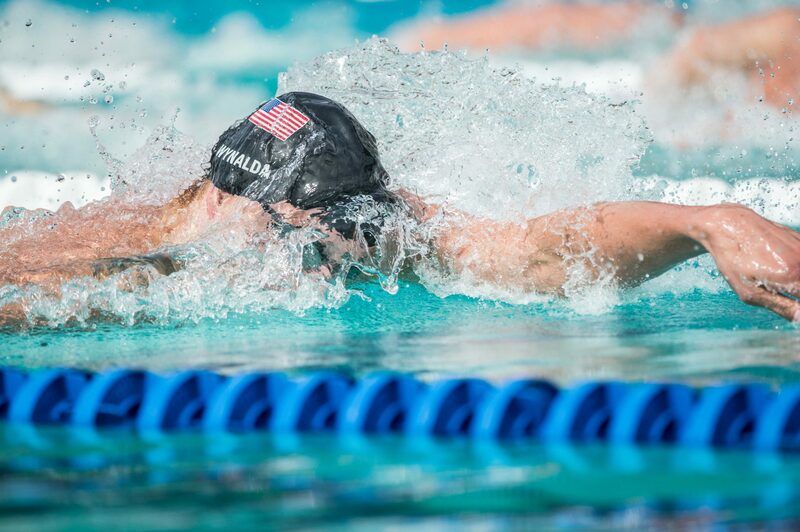 2013 saw more long course improvement from Wynalda, as he kicked off the summer season with new bests in the 100 (50.16) and 200 (1:48.09) at the 2013 US National Championships. He placed 8th in the 200 free. At the 2013 World University Games in Kazan, Russia, Wynalda broke the 50-second barrier in his 100 and posted 3 consecutive 49’s through to finals, where he ended up placing 7th. His best of 49.57 came from semifinals. Wynalda’s new best of 1:47.59 in the 200 also came from semifinals. In finals, he was just edged out of the bronze medal by Poland’s Pawel Korzeniowski. Wynalda was also a member of the 4th place 4×100 meter freestyle relay as well as the 4×200 meter freestyle relay which earned the silver medal. Michael Wynalda was named to the 2013-2014 US National Team. 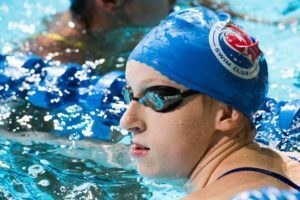 At the 2014 US National Championships, Wynalda finished 44th in the 100 free (50.27) and 7th in the 200 free (1:48.66/1:48.54p). He scratched the 400 free, and also anchored Club Wolverine’s 400 medley relay A, where he split 50.48 on the 11th place relay.